Katie is the CEO and Managing Partner of The Engine. Previously, Katie was a founder and Managing Director at Project 11 Ventures and Managing Director of Techstars Boston. 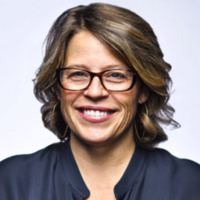 Katie spent her early career building significant Internet businesses as the Head of Product for Microsoft Startup Labs and SVP of Product at Eons. She learned the ropes of product and business development at AltaVista, RagingBull, Zip2, and Mirror Worlds. Katie currently serves as Chairman of Startup Institute where she is also a founder. She holds an MBA from Yale University and a BA in Biology from Oberlin College. Katie was great! Inspiring vision for tough tech and exploring new ways to get women involved in the entrepreneurship community.